DeMarini slowpitch softball bats come with industry-leading technology and eye-catching cosmetics. For the 2018 season, the Flipper USA is guaranteed to be the hottest bat in your bag. With a half and half, two-piece, end loaded construction, this slow pitch bat comes with a 100% composite barrel and the ZnX alloy handle that increases stiffness and durability by offering less flex, which ultimately results in premium performance at the plate. The 100% composite barrel, also known as the Divergence barrel, comes with a gapped design that provides a smooth feel on contact with tremendous trampoline effect. The best part? 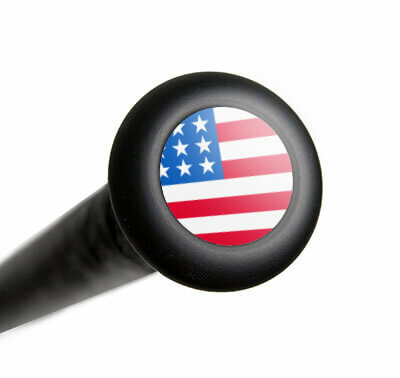 Each Flipper USA softball bat is forged with pride right here in the USA. DeMarini: Meet the Wrecking Crew! This 2018 DeMarini Flipper USA ASA Slow Pitch Softball Bat (WTDXFLA) features a standard 2 1/4-inch barrel diameter, a 12-inch barrel length, and the proven RCK knob that fits comfortably into the bottom hand. Keep in mind that this model is approved for play in ASA ONLY. Now, step into the batter's box with pride and pick up one of these DeMarini slow pitch bats today with free shipping and a full one (1) year manufacturer's warranty. Don't forget, with our 24/7 customer service, we'll be here for you from click to hit! Pros: Break in time fast, still a lot more pop to come i think, feels good right away. works well with the balls from our senior league. Cons: graphics not great but who cares, handle a little thin but not bad, I like a bigger handle than most, I also like a bigger ie longer barrel, but has swing well thus far. Pros: Very Happy with the bat it has great pop to it. Cons: Not too thrilled about the grip could use a better grip on it. Have a question about the 2018 DeMarini Flipper USA ASA Slow Pitch Softball Bat: WTDXFLA? Ask our team of experts and they will respond within 24 hours. Any reason this bat can't be used in high school or college fast pitch? 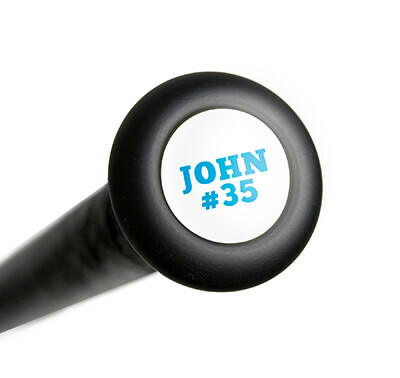 This bat would not be allowed for fastpitch as it would exceed the performance standards used for fastpitch softball. Does this bat have to be rolled before using? The 2018 DeMarini Flipper USA ASA Slow Pitch Softball Bat: WTDXFLA would not need to be rolled before using. Our league does not have the ASA approved bat list until May or June but I need my bat now. I know some bats say ASA approved but are not on the actual list, so is this actually 100 percent on the list of approved bats? I am in love with it, so I want to make sure. The 2018 DeMarini Flipper USA ASA Slow Pitch Softball Bat: WTDXFLA is approved for play in ASA & Non-Linear USA Softball. Unfortunately, we do not get early access to that list so I am not sure if it will be included or not. Is this bat balanced or end loaded? I can't seem to know when looking at the flipper bats or any, really. The 2018 DeMarini Flipper USA ASA Slow Pitch Softball Bat: WTDXFLA features an end loaded swing weight. I really love the 2017 DeMarini Flipper OG bat but they are no longer making them. Which bat is the closes in comparison to that bat? The 2018 DeMarini Flipper USA ASA Slow Pitch Softball Bat: WTDXFLA is a comparable bat to the previous DeMarini Flipper OG with the main difference being the length of the barrel (12 inches compared to 13 on the 2017 version). Is this bat hotter than the Flipper 2016? I would not say that the 2018 DeMarini Flipper USA ASA Slow Pitch Softball Bat: WTDXFLA will necessarily be hotter than the 2016 model, however the half and half construction of the 2018 model has performed excellently so far. Can this bat hit .44 core balls? The 2018 DeMarini Flipper USA ASA Slow Pitch Softball Bat: WTDXFLA is less likely to hold up well over time using this type of ball. Is this a composite wood bat? No, the 2018 DeMarini Flipper USA ASA Slow Pitch Softball Bat (WTDXFLA) is considered a two-piece, hybrid metal bat. The handle is made of alloy and the barrel is made of composite. I've been using an Easton L6.0 27 oz for past couple of seasons and love it. How would this bat compare for weight and feel? The DeMarini Flipper USA ASA Slow Pitch Softball Bat: WTDXFLA will replicate the stiffness felt from that L6.0 because of the ZnX Alloy handle. Furthmore, both models are end loaded bats that will feel heavier when swinging them than balanced models. The main difference is the construction because the L6.0 is a one-piece model while the Flipper is a two-piece bat.